SPOKANE, Wash. – Miss Myrtle Woldson, an accomplished businesswoman, musician and philanthropist, has celebrated her love of the arts, music and student success with a $55 million gift to Gonzaga University – the largest in University history – to fund student scholarships and build a performing arts center. 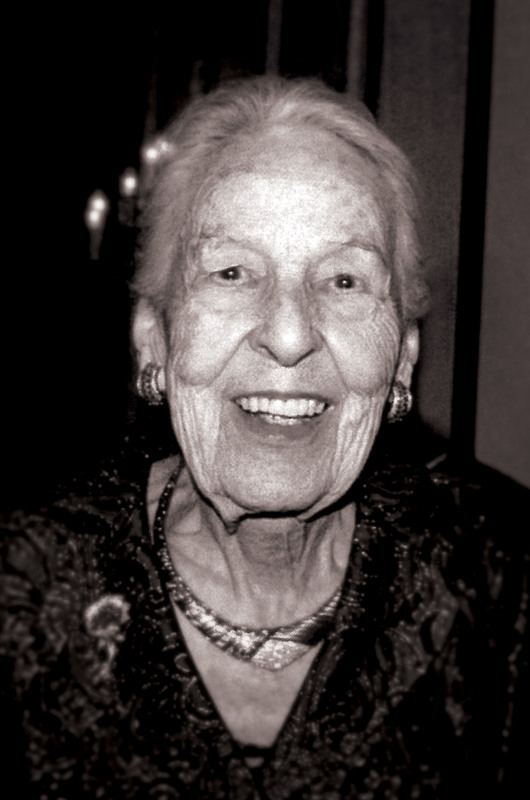 Miss Woldson, a Spokane resident who had ties to Gonzaga for more than five decades, passed away on April 11, 2014 at the age of 104. Speaking to University supporters Thursday evening at the Davenport Grand Hotel, Gonzaga President Thayne McCulloh said Miss Woldson gifted $25 million to create an endowment fund to provide scholarships for students with high financial need from both low- and middle-income families, and $30 million to build the Myrtle Woldson Performing Arts Center on campus. Miss Woldson’s gift is the second-largest from an individual to a college or university in Washington state history, according to data from the Chronicle of Philanthropy (http://bit.ly/1jooGjX), and will create the largest scholarship fund for students with high financial need in Gonzaga’s history. Miss Woldson’s scholarship fund will bolster the University’s endowment – helping to graduate students with less debt and make Gonzaga less dependent on tuition revenue. Miss Woldson’s bequest serves as an inspiring gift for Gonzaga’s $250 million fundraising campaign – titled “Gonzaga Will: The Campaign for our Future,” which President McCulloh formally announced this evening. “Thanks to the unprecedented generosity of Miss Woldson and more than 23,000 other supporters, Gonzaga has raised $183 million toward our campaign goal,” President McCulloh said. A skilled pianist, Miss Woldson’s love of music and the arts is reflected in her bequest for the Myrtle Woldson Performing Arts Center. The estimated 52,000-square-foot building will include a 750-seat performance theatre as well as areas dedicated to instruction in music, dance and theatre arts. Pfeiffer Partners of Los Angeles has been selected as the lead architect for the facility with Bernardo-Wills Architects of Spokane. The theatre and music consultant is Auerbach Pollock Friedlander of San Francisco. The building will be located west of Astor Street in the vicinity of the Knights of Columbus building. Media: Please contact Mary Joan Hahn, director of community and public relations, at (509) 313-6095.